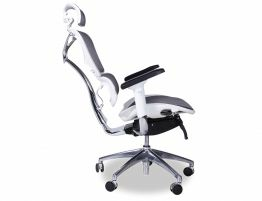 Trieste Ergonomic Office Chair helps people to concentrate better and be more creative as a key element in a humane and open working culture. 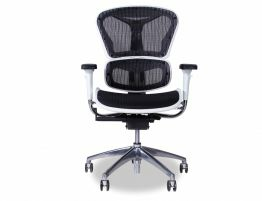 It offers a human touch in any area of the contemporary workplace. Its intuitive functions are not obtrusive, but easily and discreetly accessible. 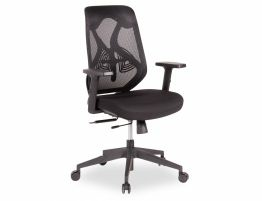 When you're putting in long hours at your desk computing or gaming, this adjustable Trieste mesh office chair makes the grade for comfort and reliability. Find just the right position for any task, from creating an impressive proposal to defeating virtual foes. 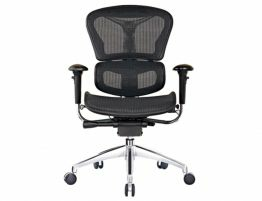 Black mesh office chairs are a great choice for almost any décor. 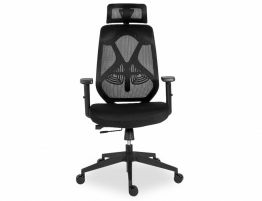 A versatile, ergonomic and flexible product which helps the user feel good and be more productive, while taking care of back and body comfort, all based on a design that can fit into any space. 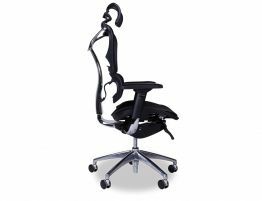 Adjustable, individual pads stabilise the sacrum and support the lumbar region of the spine to mimic that healthful standing position.Trieste designed to keep people in contact with the back of the chair and in control of their continuous movement throughout the entire range of recline. 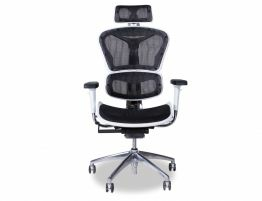 Height and pivot-adjustable arms help you adjust the angle in which you lean and rest your arms.